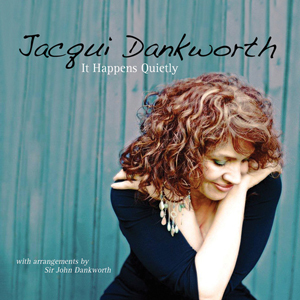 Jacqui Dankworth is one of the most highly regarded vocalists in the UK. Her concert appearances and her stylistically diverse recordings showcase her virtuosic and effortless mastery of a wide spectrum of genres. Known primarily as a jazz singer, Jacqui also draws on folk, soul and blues influences, as well as her acute sensibility as a songwriter and lyricist. Her voice has been described as “multi-faceted” and “incomparable” by TheTimes. Jacqui is also an accomplished actor, having performed leading parts with the Royal Shakespeare Company, The National Theatre and in London West End musicals such as in Steven Sondheim’s Into The Woods at the Phoenix Theatre playing Cinderella and in Sophisticated Ladies – a celebration of the music of Duke Ellington. It was her original intention to make acting her main vocation, but the singing bug had hit by the mid 90's, Jacqui focused on her singing and recording career. She has collaborated and worked with many diverse musicians including The Brodsky Quartet and Courtney Pine, Marvin Hamlisch, Paloma Faith, Alan and Marilyn Bergman, Gretchen Parlato, Clare Teale, Georgie Fame, David Gordon, Charlie Wood, Anthony Kerr, Liane Carroll, Sara Colman, Tim Garland, Chris Allard, Malcolm Edmonstone, Chris Garrick, The BBC Big Band, RTE, LSO and RPO Orchestras and most recently the legendary Chick Corea. 2012 was a busy year with many performances in theatres and festivals around the UK, including The London Jazz Festival. Jacqui also appeared as Rosa in the second series of The Borgia’s starring Jeremy Irons on Showtime TV and is in the newly released film "Les Miserables" directed by Tom Hooper. She rounded off 2012 performing as a surprise guest with Chick Corea’s trio at the Barbican theatre and was invited to sing with The Brodsky Quartet at King’s Place as part of their 40 year celebration as well as singing in Exeter Cathedral as soloist in Duke Ellington’s sacred music. 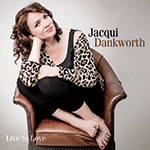 In 2013 she will release her new CD featuring material written by Jacqui alongside some beautiful classic songs. She performed at the Cadogan Hall in London in April with musicians from the RPO and the BBC Big Band in a program featuring songs from “The Stage and Silver Screen”. She also performed as guest vocalist at the Radio 2 Friday Nights Music Nights Celebration for the Dambuster’s Special Anniversary Event at Biggin Hill. After recording the new album in May she will be appearing in The Opera Company’s new production of Berg’s “Lulu”. Entitled “American Lulu”. Performances at the Edinburgh Festival and Austrian in August it lands in London at the Young Vic in September. She will tour in the Autumn around the CD which will be released on Sept 30th.